Building upon the groundwork laid by the LHC Long-Lived Particle (LLP) Workshop in April of 2017 -- and continuing the robust and rich tradition defined by prior workshops such as “LHC Searches for Long-Lived BSM Particles: Theory Meets Experiment", at U. Mass, Amherst, in November of 2015; “Experimental Challenges for the LHC Run II", at the Kavli Institute for Theoretical Physics in May of 2016; and the “LHC Long-Lived Particles Mini-Workshop" at CERN in May of 2016 -- the LHC LLP Community -- composed of members of the CMS, LHCb, and ATLAS collaborations as well as theorists, phenomenologists and those interested in LLP searches with dedicated LHC detectors such as milliQan, MoEDAL, and MATHUSLA -- convenes again to finalize the community white paper and assess the state of LLP searches at the LHC. 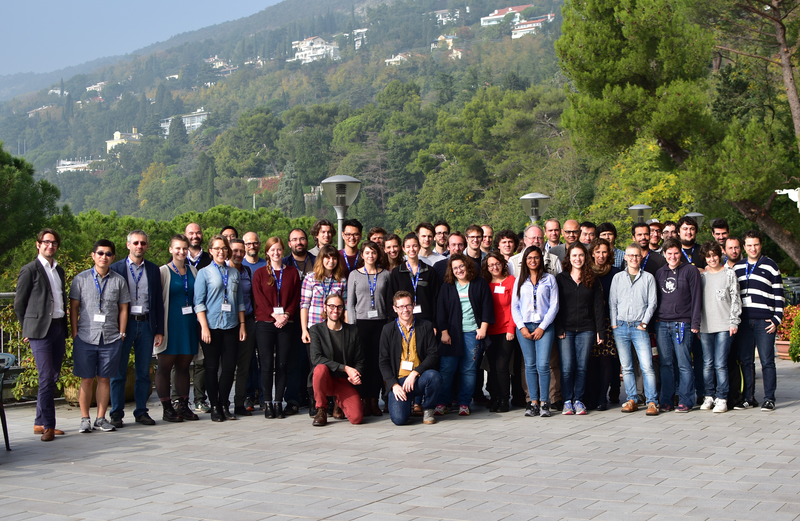 This workshop is the second of two workshops devoted to producing an LHC LLP white paper that proposes a set of simplified models for LLP searches; contains an enumeration of gaps in the coverage of classes of BSM models that can produce LLPs; proposes recommendations for new triggering strategies for LLPs in ATLAS, CMS, and LHCb; lists ideas for new searches for LLPs; and proposes a set of recommendations for the presentation of search results to ensure future reinterpretation and recasting. A set of simplified models has been proposed. Is anything missing? What gaps in coverage exist that should motivate new, improved, and/or expanded searches? A few concrete, missing triggers in CMS and ATLAS were identified at the April workshop. What did we miss that we've identified since then? What studies have been performed to support possible detector upgrades that would improve sensitivity to LLP signatures? What about the prospects, challenges, and opportunities with a high luminosity or a high energy (~25 TeV) LHC? New, blue-sky ideas mandatory. How do we make sure the published searches are optimally useful in the future? What optimal set of information should be presented in experimental search results? How do we encourage the collaborations to archive their analyses in a way that will enable the future production of accurate, robust, and experiment-controlled re-casting? How do we address dark sectors with hadronization in a more detailed and comprehensive way, and what does this mean for the current searches in the experimental collaborations for this class of models? The first day of the workshop will, in addition, feature a joint session with the Re-interpretations workshop concluding that same day at Fermilab, in their morning and the afternoon in Trieste. 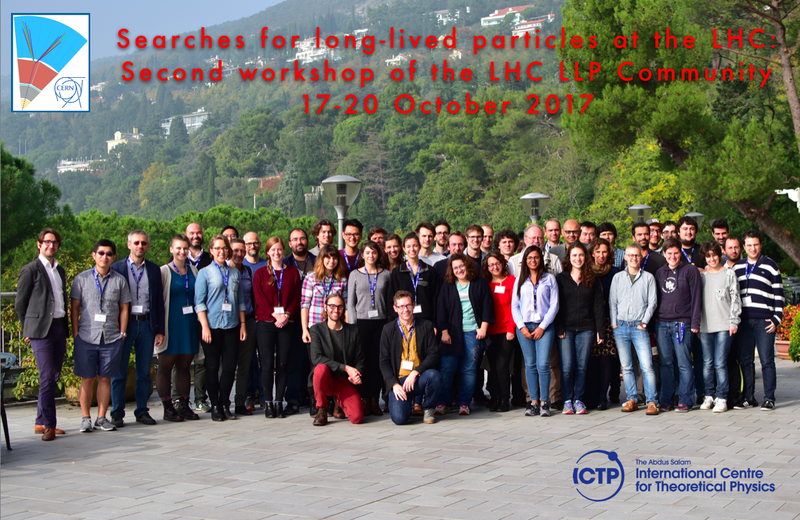 The next LHC LLP Community workshop will take place in the Spring of 2018. We're pleased to announce a special event on the 17th of October, the day before the workshop proper begins: Steven Weinberg is giving a talk in honor of the fact that October 17 is the 50th anniversary (to the day!) that his foundational paper, “A Model of Leptons”, -- without which probably none of us would be reading this -- was submitted to PRL, and our ICTP hosts have astutely arranged for a celebration including a talk broadcast live by Weinberg on “50 years of the SM” in the late afternoon of 17 October, followed by a reception. We’re quite fortunate to have this connected to our workshop, and we encourage you to arrange to show up early on the 17th to be able to attend!